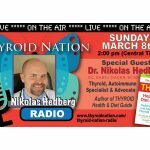 Hashimoto's Disease and Hypothyroidism Radio Interview - Dr. Nikolas Hedberg, D.C. 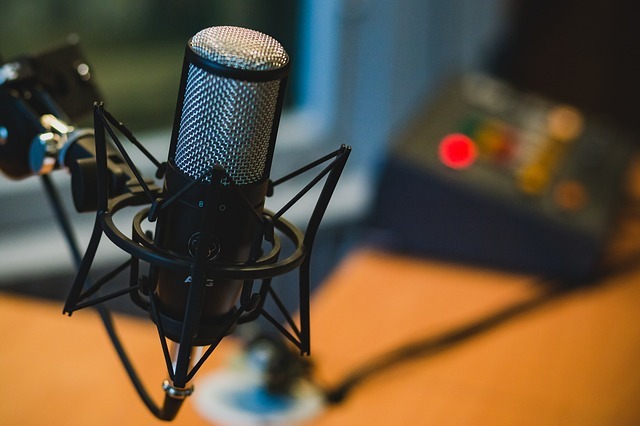 I was recently interviewed by The Natural Nurse – Dr. Ellen Kamhi discussing Hashimoto’s disease and hypothyroidism on the Progressive Radio Network. This was one of my favorite interviews and I really enjoyed talking to Dr. Kamhi. What got you started in working with patients who have thyroid disorders? Why do so many people suffer from a thyroid problem? What are the most common causes of thyroid disorders? What tests should patients ask for from their doctors to uncover the underlying causes of their thyroid problem? There are many types of thyroid medication, what are the best choices available today? Is iodine a safe and effective supplement for those with Hashimoto’s or hypothyroidism? When is a gluten-free diet the best option for someone with a thyroid problem? Can you tell us why vitamin D may not be the best option? If you have an underlying infection that is driving your Hashimoto’s disease, what are the best treatment options? What is the best diet for someone with a thyroid disorder? Do people need to worry about goitrogens in foods? Please tell us more about leaky gut syndrome and some strategies to heal the digestive system. How does hormone replacement affect thyroid function? How does stress and the adrenal glands affect thyroid function? What are some of the most effective supplements for someone with Hashimoto’s disease? Dr. Kamhi: And welcome. Thank you so much for joining us right here on the Natural Nurse and Dr. Z. We’re so happy to be with you. And one of the things that’s very exciting to me is to take a look at the podcast archives that we have here on Progressive Radio Network. And we have, just for the Natural Nurse and Dr. Z, well over 100,000 of you that are downloading and listening to the archives. We’re really excited to be able to share this information with you. Dr. Zampieron and I have been operating in terms of natural medicine, myself since 1964 and Dr. Zampieron is a little whippersnapper from around 1980. Not that he’s little. We don’t call him Eugene for nothing. Dr. Z is a big, big guy. And you can see photos of us by visiting our various websites. You can always go to naturalnurse.com and Dr. Z’s website, drznaturally.com. And of course find us on Facebook at facebook/thenaturalnurse. Today we’re very happy to have as our guest Dr. Nikolas Hedberg. Dr. Hedberg is a board certified naturopathic physician, chiropractic physician, and is board certified in nutrition by the American Clinical Board of Nutrition. He is the founder of the Immune Restoration Center in beautiful Asheville, North Carolina, just an absolutely lovely place, I love it there, where he helps patients worldwide, not only in his local area, with thyroid disorders, immune disease, and chronic illness. His focus is a telemedicine practice, and he’s able to help patients regardless of their location. Dr. Hedberg is a regular speaker at integrated medical conferences, author, and practitioner of all types. And other practitioners also consult with him on their most difficult cases. Dr. Hedberg has several books. One is The Thyroid Alternative and a brand-new book that is going to be coming out this year, called The Complete Thyroid Health and Diet Guide. So thank you so much for being our guest today, Dr. Hedberg. Dr. Hedberg: Thank you for having me, Dr. Kamhi. Dr. Kamhi: Now during our show may I call you Nick or Dr. Nick? Dr. Hedberg: Yeah, Nick is fine. Dr. Kamhi: That’s great. So I’m going to go back in time a little bit. Let’s take you back many years to yourself as a child. And when did you start to sort of get an inkling that you felt drawn to natural medicine? Dr. Hedberg: Well, actually I was watching Little House on the Prairie when I was about five years old. And for those of you who have seen the show, there’s sort of a town physician, Dr. Baker, on that show, and Dr. Baker took care of everybody in the town. He was the only doctor there. And when I was kid I thought this is something that I really want to do. I want to help people to the best of my ability who are sick and help them from when they’re a child, and when they grow up, and as they get older. And just even when I was a kid I was reading books about vitamins, and minerals, and nutrition. Dr. Kamhi: When you were a kid? Wait. Let’s stop there. When you were a child you were actually reading books about those things? I was too, but it’s not the normal thing that children do. Dr. Hedberg: The first book report that I ever had to do when I was a little kid, I read a book called The Vitamin Book. Dr. Kamhi: Was that by Earl Mindell? Dr. Hedberg: You know, I don’t even remember. I mean, it was so long ago. Dr. Hedberg: But yeah, so even as a young child I was interested in these things from the beginning. And then I started bodybuilding as a kid too, lifting weights, and reading books about nutrition and exercise, and also experimenting with some natural medicines, even when I was a kid. Dr. Kamhi: Well, isn’t that really a fantastic story? And the fact that we have to wonder where is that coming through? It’s almost like a cosmic consciousness that’s coming into you. And then there is a word called dharmic path, which is an Eastern philosophical concept, which talks about the fact that people do have their place in terms of what their life’s work is. And to be able to actually manifest that as you have, and having that interest so early on, I imagine is very fulfilling. Dr. Hedberg: Very fulfilling because you sort of know your direction from the time you’re a child. And then you know exactly what path you need to take. And then it was just a matter of focusing on that path, buckling down, and working as hard as possible. Dr. Kamhi: And that’s where the work comes in. I was speaking to Dr. Michael Murray recently, who I’m sure you’re familiar with. And I’m a real fan of his for many years. And Dr. Murray calls that, “Well, you have the vision and then you need the grit.” I mean, no one says that you’re going to get very far in life regardless of what your ambitions are without really putting the work in. Getting the number of degrees you have, being a naturopathic physician, and a chiropractic physician, and a nutritionist, that doesn’t just happen. That happens through focus and work. So then, well, let’s continue on your path. So then you went and got all these educational, which I’m sure has never ended. I’m sure you continue to do education as well. Dr. Hedberg: Yes, yes. Always continuing to read and stay up on the latest research. Reading books, reading peer-reviewed medical journals, attending conferences. You’re right. The process just never ends. Dr. Kamhi: Are you originally from Asheville or is that a place that you more recently relocated to? Dr. Hedberg: I’m originally from Western New York, a place called Chautauqua, which is close to Lake Erie. And then I moved to Asheville to start my practice many years ago. Dr. Kamhi: They almost have a similar vibe though, to me. That Upstate New York area is not like New York City. It’s quite rural in its energy. Dr. Hedberg: Yes, yes. Exactly. Dr. Kamhi: So when you moved to Asheville then you started this practice, which really has an integrated focus right from the beginning. Dr. Hedberg: Yes. Right from the beginning. Started some advanced training, as soon as I graduated, in functional medicine. Did a lot of things at first. Did nutrition and acupuncture, functional medicine, some chiropractic. I was doing a lot of things. And then over the years it’s just become very, very focused on functional medicine and nutrition, and mainly focusing on that, thyroid disorders, autoimmune disease. A lot of people with chronic immune system imbalances that just really haven’t found answers by not only conventional medicine but also alternative medicine as well. Dr. Kamhi: That’s true. And although the name of Dr. Zampieron and our organization is called Natural Alternative Health Education and Multimedia Services, we made up that name years ago and I guess I am less happy with the word alternative these days. The reason for that is I think the kind of interventions you are focusing on in your center and in your books, such as The Thyroid Alternative, really shouldn’t actually be the alternative. It should be the first intervention considered because that is actually good medicine according to the latest research. Dr. Hedberg: That’s exactly right. And I’ve always been a big believer in combining the best of conventional medicine and so-called alternative medicine. And there are a lot of alternative practitioners and followers of alternative medicine who are very, very critical, very, very hard on conventional medicine and I’m really not that way at all. I think that they’ve made great strides in science. And a lot of what we draw from in so-called alternative medicine, especially these days, comes from the conventional medical literature. So I think the best really comes in combining the two and it’s just a matter of educating both sides, and I think that creates the best outcomes for the patients. Dr. Kamhi: Exactly. And that is patient-centered care. Rather than feeling like you have to follow one particular strain, if you do like you do, your homework and your research, there’s no reason why these things can’t be used together, and yourself as a practitioner will prioritize that. But unfortunately it seems in conventional medicine there is even more bias against natural therapies. Dr. Hedberg: Yes. Definitely a lot of bias. And a lot of that just comes from a lack of education. Your average physician has gone through a significant amount of training. And then residency is obviously going to be heavily focused on the conventional model. And so that individual, that may be all that they know. And there’s only so much time that you have in a day and so much time to study, and so a lot of it is just not enough focus, not enough time because there is so much to learn. And admittedly, unfortunately there is a lot of really bad alternative medicine out there being practiced. And so they have every right to be very skeptical in a lot of ways. But they also need to be more open-minded and accept what is scientifically valid and embrace that. Dr. Kamhi: Well, what made you focus, it looks like you probably see patients with other situations as well, but you really have a strong focus on thyroid disorders. What led you to specialize in that? Dr. Hedberg: Right. So really it was a matter of a few things. Number one, when I first started seeing patients, there were just so many patients coming in with a variety of conditions who were on thyroid medications. So that was the first thing. And then the second thing is when I first started my practice I was doing a lot of lectures around Asheville, out talking to people, educating people. And whenever I would give just like a nice overview of thyroid disorders, the lecture was just always standing room only. I would do lectures on, say arthritis, or chronic fatigue, or natural hormone replacement and things like that, they always do a fairly do a good crowd, but thyroid was always just a packed house. And so the combination of seeing so many patients with thyroid problems, and then doing the outreach into the community and seeing that it was in such high demand, I realized that it was something that I really had to learn and something that I really had to master because it was obviously so prevalent. And when I was out talking to people, it became very clear that there are just so many people who are taking thyroid medication and it just really isn’t helping them. And so I knew I had to find out why and other ways to help these people get well. Dr. Kamhi: Now why do so many people suffer with thyroid problems? Now if they’re on thyroid medication, most likely that means that even the conventional thyroid tests are picking up an imbalance because that would be necessary in order for their conventional physician to write a prescription for the thyroid medication. Dr. Hedberg: Right. So the reason why so many people suffer from a thyroid problem is because autoimmune thyroid disease is the most common autoimmune disease in the world, by far. And 90% of individuals with a thyroid problem have autoimmune thyroid disease which is known as Hashimoto’s Thyroiditis. So that’s really the first reason. And as you said, patients get their blood tests done and it shows a low thyroid. 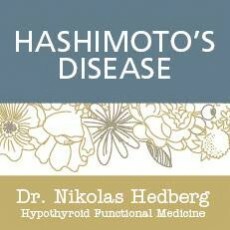 However, conventional medicine, it doesn’t treat the patient any differently whether they have hypothyroidism or they have hypothyroidism due to the autoimmune disease, Hashimoto’s. So the autoimmune aspect is just completely ignored and the patient is treated the same. And a lot of those people with Hashimoto’s, the thyroid medication is just not enough. There needs to be more detective work. There needs to be more investigation to figure out what triggered their autoimmunity and how to correct that. And other things that come into play are pollution and environmental toxins. Cigarette smoke, stress, iodine deficiency. And then infections are really the main trigger of the autoimmune disease and that’s an aspect that is heavily overlooked even in the alternative medicine world. Those are really the main reasons why so many people suffer from a thyroid problem. Dr. Kamhi: Well, Dr. Nick, would there be a different – I know thyroid is confusing in that if you do stand up, give a lecture, and go down the list of thyroid-related symptoms, which I believe actually in conventional medicine there are 42 that are listed, and a lot of them, most people in the audience will sort of raise their hand and experience some of those symptoms that are on that list. Is the list different for a simple hypothyroidism versus Hashimoto’s or would they sort of mirror each other in terms of presentation? Dr. Hedberg: They do mirror each other for the most part. However, in the beginning stages of Hashimoto’s, the patient may actually have symptoms of hyperthyroidism, the opposite of hypothyroidism, and that’s due to just the significant amount of inflammation in the thyroid gland because of the autoimmunity. So initially they may present with a picture of too much thyroid hormone. So they might have anxiety and sleeplessness, a rapid heart rate, sweating, things like that. But then over time they’ll shift into hypothyroidism. But really there’s just going to be a tremendous amount of overlap and mirroring, as you suggest. Dr. Kamhi: Now would a conventional physician be looking at all like you would, in terms of possibility for Hashimoto’s versus just some kind of other thyroid irregularity? Dr. Hedberg: Usually not. Because as I mentioned before, the treatment is going to be the same. So the blood tests are going to be run. If the TSH is elevated, the patient is put on thyroid hormone. And whether they have autoimmunity or not, the treatment will be exactly the same. So there’s really no incentive to do any further investigation if it’s not going to change the way the patient is treated. And a lot of these underlying causes of Hashimoto’s just really aren’t taught in conventional medicine and so it’s not something that your standard doctor is going to look for. Dr. Kamhi: Well, you’ve been using some terms that I know you are very familiar with and I am very familiar with, but let’s backtrack a little bit for our listening audience what you mean by hypo, hyper, and TSH. Dr. Hedberg: So hypothyroidism indicates that the thyroid is not making enough hormone. And thyroid hormone basically controls metabolism, which means that it’s going to control core energy production. So what that means is when you eat food, your body makes energy from protein, and carbohydrates, and fat, and thyroid hormone controls the burning of carbohydrates, protein, and fat for energy. So if thyroid function is low, there’s going to be a decrease in your metabolism, so everything is going to slow down. So you’ll have fatigue. You might have weight gain because you can’t burn fat. You might be constipated because thyroid hormone drives what we call peristalsis, the movement of food through the intestine. You might have depression because thyroid hormone controls the metabolism of what we call neurotransmitters in the brain. So anything you can think of that relates to energy production is going to be significantly inhibited in hypothyroidism. Hyperthyroidism will be the opposite. You have an excessive amount of thyroid hormone, so metabolism is revved up. The burning of fat, carbohydrates, and protein is accelerated. So the patient might actually have weight loss initially. They might feel agitated, sleeplessness, rapid heart rate, anxiety. And then the TSH is the thyroid-stimulating hormone, and that is made by the pituitary in the brain. And basically what that does is it signals the thyroid to make more or less hormone. And that’s really the core diagnostic criteria in conventional medicine. So if the TSH is elevated, the patient has hypothyroidism because the brain is basically trying to tell the thyroid to make more hormone. If the patient is hyperthyroid, then the brain says, “Well, we don’t really need any stimulation of the thyroid,” so TSH levels will be very, very low. And so those are the basics of hypo, hyper, and TSH. Dr. Kamhi: Thank you for that clear explanation. Of course like everything, it has to do with the fact that the body is so complex and has so many feedback mechanisms where it’s little switches that are being told to turn on or turn off, and these can become dysregulated. Dr. Hedberg: That’s exactly right. And these feedback loops, as you suggest, can be significantly affected by a number of things which we’ll get into later. Dr. Kamhi: Well, what are some of the most common causes of a variety of thyroid disorders? Dr. Hedberg: Right. So I think the most overlooked aspect of thyroid disorders in this day and age are infections. And I say that because like I said before, if 90% of thyroid disorders are due to autoimmunity, then we have to ask the question why is there autoimmunity? And so autoimmune disease is basically the body’s immune system is attacking its own tissue. And so in this case it would be the thyroid. So we have to ask the question why is the body attacking itself? The immune system is obviously confused. It’s obviously out of balance. It’s obviously trying to figure out what to do with the current state of the patient’s health. And there are a number of things that can trigger autoimmunity. Of course there is a genetic component, but infections are really the most prevalent, the most common trigger of autoimmunity. And this has been documented all the way back to the 1970s where the cytomegalovirus was first seen as being connected with the disease lupus. And since then there has just been thousands and thousands of papers on infections and autoimmunity. So the big three infections that are connected with autoimmune thyroid disease are Epstein-Barr virus, and that is the virus that causes what you may know as the kissing disease, also known as mononucleosis or mono. Most people get that when they’re very young. The second infection is Helicobacter pylori, and that is a bacteria in the stomach that causes ulcers. And then the third infection is called yersinia enterocolitica. And this is a bacteria that people get in the intestine from contaminated food or water. And usually the immune system fights it off. The patient thinks maybe they have food poisoning or an upset stomach, but in some cases it takes hold in the intestine and it can trigger and drive the autoimmunity. So those are the big three infections. And then other things involved in autoimmunity are going to be what we know as leaky gut syndrome, vitamin D deficiency, gluten. Although a little bit overhyped currently, can be involved in autoimmunity and leaky gut syndrome. So those are kind of the main things that I see and the main things in the literature that are triggers of autoimmune thyroid disease. Dr. Kamhi: Well, great recap. We’re going to go to just a little break right here, and when we come back we will again be joining Dr. Nikolas Hedberg. And you really have a wonderful site that I am looking at right now while we are doing our show, and that is www.drhedberg.com. That’s D-R-H-E-D-B-E-R-G.com. It’s a great reference that you’ve put together with lots of things people can find on their own just by visiting the site. So we will be back with more right here on the Natural Nurse and Dr. Z. Stay tuned. Male Host: On this edition of The Natural Medicine Chest we’ll discuss the folklore, history, chemistry, and medicinal applications of the common kitchen herb thyme. Female Host: The common culinary spice known botanically as Thymus vulgaris is only one member of a large genera which includes over 400 species and even more varieties. The Thymus genera is originally native to the Mediterranean region and is a perennial plant which grows wild in usually dry, sandy soil, green heaths, and grasslands. Thyme is a prolific, fragrant, creeping ground cover and often displays an attractive spray of flowering branchlets spanning the spectrum from white to violet. Male Host: There is considerable debate amongst historians as to the origin of the name thyme. Some believe it to be from the Greek thymum, meaning to fumigate or to burn a sacrifice, because it was used as a sweet-smelling incense and also to keep pests and venomous creatures away from the Greek home. Others believe it came from the Greek thumos, meaning courage or energy, perhaps because it has a reputation of being used by Greek warriors for courage and was bathed in and used as a beverage for invigoration. The Egyptians used an herb called tham, which we believe is Thymus vulgaris, to mummify their dead. The principal chemical constituents of thyme are the volatile oils consisting of phenol, thymol, and carvacrol. A 1977 article in the Scientific Journal, chemical abstracts, revealed that thymol’s antimicrobial activity is 18 times more powerful than phenol. Phenol is a major antiseptic used in commercial germicidal cleaners like Lysol. Thymol is one of the most potent antimicrobial substances known and far surpasses even the strongest antibiotics. It has been illustrated in the Journal of Chemistry and in the Merck Index of Drugs and Chemicals to destroy parasites, worms, fungi, bacteria, mosquito larvae, and many viruses. Female Host: The pharmaceutical and cosmetic industry is privy to the important medicinal effects of oil of Thymus vulgaris. It is ubiquitously found in gargles, cough drops, vapor rubs, and many mouthwashes. Oil of thyme is to be used, albeit very sparingly because of its potency, as a gargle or mouthwash for sore throats and inflamed gums. Because the volatile oils is expelled via the lungs and kidneys, naturopathic physicians use it for upper respiratory infections and urinary tract infections. If you are in the midst of a cold and are lying in bed with too much “thyme” on your hands, try making a thyme tea made with just a few teaspoons of thyme to a cup of boiling water. It’s an excellent diaphoretic because it causes the body to perspire profusely. Thyme also possesses an excellent carminative and antispasmodic effect, helping in poor digestion, flatulence, and intestinal grippe. Male Host: So listeners, if you’re feeling ill, “thyme” heals all wounds. Remember to reach for that “thyme” in a bottle the next time you open up the Natural Medicine Chest. Dr. Kamhi: And welcome back. Thank you so much for joining us once again right here on The Natural Nurse and Dr. Z. Those of you who are in Florida, we have classes that are packed here in Florida this winter, and we have an herbal certification program going on which is on ground where we actually look at plants that are medicinal, and have a four-week course that leads to C.E.U. credits for nutritionists, massage therapists, acupuncturists, and others. And that’s going on all winter as well as many other classes almost every night that you can join in on. And we’re also part of the Florida Holistic School of learning which is holding a major Florida herbal conference. Last year it was completely sold out, and that’s the last weekend in February. If you’d like to find out more about any of those things, visit naturalnurse.com. Click on Schedule, and you’ll see all the things, all the on-ground classes which rotate around the country during the year. And we also have people who refer to our information from all over the globe. As does our guest today, Dr. Nikolas Hedberg. Dr. Hedberg is a board certified naturopathic physician, chiropractic physician, and nutritionist by the American Clinical Board of Nutrition. He is the founder of Immune Restoration Center in Asheville, North Carolina. And also the author of The Thyroid Alternative and a new, upcoming book, The Complete Thyroid Health and Diet Guide which will be published this year. So thank you so much for joining us today, Dr. Hedberg. Dr. Hedberg: Thank you for having me, Dr. Kahmi. Dr. Kamhi: You’re a wonderful guest. You’re giving such clear explanation and your knowledge is very deep. Now we left off on talking about some of the things that might lead to thyroid dysregulation of various kinds, hypo, hyper, autoimmune. Now you talked a little bit, you mentioned leaky gut syndrome. What’s shocking to me is that I often do ground rounds and lectures at medical conferences, and it seems that mainstream physicians will say to me, “I don’t believe in leaky gut syndrome.” I am shocked by that because if you just call it the word “intestinal permeability” you could print out thousands of very in-depth references right from PubMed about this condition and its link to inflammation and other autoimmune processes. So where does that term, “I do not believe in leaky gut,” come from, do you think? Dr. Hedberg: I think it comes from the fact that there is no conventional treatment for leaky gut syndrome. There’s really no medication for it so it’s really not going to be emphasized or taught in conventional medicine. As you said, leaky gut is known as gastrointestinal hyperpermeability. It’s a well-recognized medical condition. As you said, there are thousands of papers on gastrointestinal hyperpermeability. However, again, there’s just no conventional treatment for it so I think that’s the reason why you’re really not going to hear that much about it. But it is very, very, very well-recognized in the published literature. Dr. Kamhi: Yes, it is. And I’m so happy that you refer to it because it’s extremely important. Now we’re talking about some supplements that I know you discuss in terms of treatment protocols that you would use in your practice. And one thing that might be surprising is sometimes you say that using vitamin D, even if you measure someone’s level and it’s low, may not be the best option. Why would that be the case? Dr. Hedberg: So I put vitamin D sort of in the same category as gluten at this point. Very, very well-known, tremendous amount of media attention. I might even call it hype in some cases. Thousands and thousands of papers obviously on vitamin D as a role in health. But I think we’ve jumped the gun, especially when we talk about what we call chronic stealth infections. I’m going to get a little technical here, but I think it’s worth mentioning. The vitamin D receptor is really where the issue is. And vitamin D, it’s not a vitamin. It’s a hormone, and so it has a receptor. Now the vitamin D receptor, it can be deactivated by infections. So if you give someone vitamin D and they have a chronic stealth infection, for example let’s say they have the Epstein-Barr virus, well, the Epstein-Barr virus has been shown to deactivate the vitamin D receptor. So where is the vitamin D going to go if the vitamin D receptor has been deactivated? Well, it’s actually been shown that it will actually bind to thyroid hormone receptors and create thyroid hormone resistance. So normally T3, which is the active form of thyroid hormone, will bind to its T3 receptor. However if vitamin D is circulating in the bloodstream and it has nowhere to go because its receptor has been deactivated by the virus, then it will actually bind to the thyroid receptor. So it will compete with the active thyroid hormone and create thyroid hormone resistance. And so that can be a big, big problem in a patient with autoimmune thyroid disease in that autoimmune thyroid disease is triggered by the Epstein-Barr virus. Because if you give them vitamin D, it’s really not going to do its job because it can’t bind to its receptor. And so what happens is the patient will try vitamin D, and a lot of patients with autoimmune disease actually end up either getting worse taking vitamin D or they’ll feel better initially. And that’s because vitamin D can be immunosuppressive if there is a chronic stealth infection. And so the conventional treatment for a lot of autoimmune diseases is just suppressing the immune system with something like Prednisone. And that works great initially. Same thing with vitamin D. But the patient will go through a long period of ups and downs and ups and downs, and they’ll never really reach their true health potential and their true balance if the chronic stealth infection is not dealt with. So that’s really the reason why vitamin D needs to be used with a lot more caution and not just sort of thrown at everybody who has an autoimmune disease. Dr. Kamhi: That is excellent information and very important for people to realize. Now you’re using a word that I want you again to do a little more in terms of explaining to people what you mean, and that is the word stealth, stealth infection. I have a fantastic book on my shelf specifically called Stealth Infections. So let’s go into what are those stealth infections because apparently this is a big part of your protocol, is addressing them. Dr. Hedberg: Right. So stealth infections are infections that may not really present as having any symptoms that are directly related to the infection. And the stealth infections can also be very, very difficult to identify on testing. Some of the main ones are going to be viruses that are chronically active. And a lot of these are going to be in the herpes family, like the Epstein-Barr virus, herpes itself, cytomegalovirus. And then we get into some of the more tick-borne infections which are known as stealth, such as lyme disease. Borrelia burgdorferi is the bacteria that causes lyme. And there is a pretty strong connection in the literature between lyme disease and, actually, autoimmune thyroid disease. So these stealth infections, a lot of people have them. Some of them will just have sort of these chronic, low-grade symptoms that no one can ever really figure out. They just have mild, chronic fatigue. They have brain fog. They have depression. They have digestive system problems, aches and pains, and things like that. And that’s a result of chronic inflammation due to the stealth infection. Because their immune system is just unable to completely metabolize, completely unable to fight off and control these stealth infections. Dr. Kamhi: So what diagnostics do you do? Is it just a questionnaire or do you have some specific tests that you use to evaluate a patient? And how would you do it at a distance, since I know lots of your practice is focused on reaching people outside of the North Carolina/Asheville area? Dr. Hedberg: Right. So we need to use laboratory tests and we just ship the kits to the patients in the mail, and then they’re able to do the test at home. And then we use commercial laboratories that are available in all 50 states. And so the patient can just get blood drawn wherever they are, and then we’ll just review the results electronically. So for the stealth infections, the blood testing is really going to be the most effective. Obviously the patient’s history is just as important as the lab test. So for example we’ll talk about their tick bite history and if they ever had mono, and herpes, and things like that. And so we’ll combine that, just talking to the patient, doing the lab tests, and working with it that way. Dr. Kamhi: So what are some of the lab tests that you recommend that people get that might uncover the causative factors of this inactive or overactive thyroid? Dr. Hedberg: Right. So we’ll do what we call a stool analysis, a comprehensive parasitology. And that’s basically looking at any possible infections in the G.I. tract. So that would include yersinia which we talked about before, H. pylori which I mentioned before as a trigger. And then it’s also looking for parasites, fungal overgrowth like candidas and yeast. And then what we call dysbiosis, meaning overgrowth of bacteria that either shouldn’t be in the intestinal tract or it’s overgrowing because the bacterial colonies are out of balance. And then the other test can just simply be done through conventional mainstream labs, and these are blood tests. So we’ll just use specific viral panels for, say, the Epstein-Barr virus. And then we’ll just do blood testings that are specific for the patient’s case to identify the infection that I might suspect they have is an underlying cause. Dr. Kamhi: Now I know you have other tools available on your website at drhedberg, that’s D-R-H-E-D-B-E-R-G.com. And by the way, that will be posted because Dr. Herberg, all of our shows here on Progressive Radio Network are archived after they’re aired. We’re actually on live right now. And we do have a link to each guest so they can find out more information and get in touch with you. Because I notice that you have a basal body temperature thermometer which makes it very easy for people to take their basal body temperature. Would that be part of your analysis in terms of diagnostics? Dr. Hedberg: The basal body temperature is one of those classic thyroid tests. I think it was Broda Barnes that first talked about that many years ago. 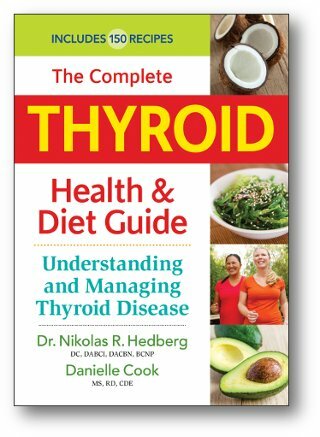 Broda Barnes has a great book on thyroid illness. And the basal body temperature is obviously very inexpensive because all you need is a thermometer and it’s something that you can do at home. And the instructions are on that basal body temperature document that you just pointed out on my website. So that can be a pretty easy thing to do at home to see if you have a thyroid problem or if the current treatment that you’re on is actually working. Because body temperature is so heavily controlled and influenced by proper thyroid function, and so that’s something that we’ll definitely use. Dr. Kamhi: Now once you do all these various analyses and you find that this person does in fact exhibit positive test results in terms of the underlying stealth infection that you consider as a causative agent, then what would your treatment protocol be like? Dr, Hedberg: Right. So the first question is why is the patient’s immune system not able to effectively fight off and control this infection? So we have to look at the health of the patient’s overall immune system. And 70% of the immune system is in the intestinal tract, so that’s why we’ll have a deep look at the patient’s digestion and if there are any infections there. So if there are any infections in the G.I. tract, then we’ll use herbal compounds to help the body fight off the infection. And then we’ll use things like probiotics to support the immune system in the intestine. And then of course diet is just going to be a major, major factor in healing the gut and the immune system, and so we do a lot of work on nutrition. And then just a few specifics on some of the infections like the Epstein-Barr virus. Selenium is highly effective not just for autoimmune thyroid disease but it’s also a good antiviral. Another one that we’ll use is what we call N-acetylcysteine. And NAC really helps to boost what we call glutathione, our body’s most abundant antioxidant. And boosting glutathione will also help to fight off chronic viral infections and chronic stealth infections. And then it really just depends on what infection we specially identify. So there’s going to be a whole handful of possible infections. And so the treatment for each one is going to be fairly different depending on what herb we want to sue for that particular infection and specific protocols. And then in some cases we will have the patient get medication from their doctor if it’s an infection that I think requires a conventional pharmaceutical treatment for, which can be highly effective in many cases as well. So the first thing you do is initiate analysis through lab tests, and questionnaires, and patient history. The next thing you do provide a protocol which is probably going to be different for each patient. It’s not always exact. It depends on your clinical judgement. So if you were going to start with attempting to clean up the stealth infections, what would be some of the herbal remedies that you would suggest, or other natural remedies that you would suggest for that? Dr. Hedberg: Right. So the first ting that we would do is use something that’s going to help support and balance the immune system. And actually the adrenal adaptogens are gong to be highly effective in balancing the immune system and sort of what we would call rebuilding the immune system. And so the main ones that we’ll use would be eleuthero, which is formerly known as Siberian ginseng. We’ll use ashwagandha, also known as Indian ginseng. We’ll use rhodiola, known as the golden root in Asia. And Panax ginseng. So those are kind of the big four that I’ll use to start with the immune system, supporting that. These are actually going to be effective for helping the body to adapt to stress. They can help the mood and stamina, energy levels, immune system function. So they have a lot of other benefits just outside of the immune system. Dr. Kamhi: Those are excellent. So your first line is actually building before you try to necessarily attack the invading microbes. Dr. Hedberg: It really depends on the patient’s unique case and what infection they have. So we may do that initially. And then we also may directly go after the infection. I would say that if it’s a virus, we definitely treat immediately. If it’s something more difficult or more complex like a lyme disease or other tick-borne infection then we may be a little bit more cautious in directly going after the microbe and we might spend more time preparing the body for treatment of something that is much more difficult to treat. H. pylori we’ll usually go after immediately, and mastic gum is excellent for H. pylori as well as a number of other compounds. And then yersinia which I mentioned before which is a common one in autoimmune thyroid disease. The lab that we use for stool testing does what we call a sensitivity for the infection. And so they’ll just test a number of different herbal medicines to see what is effective for the yersinia. So the lab will tell us exactly what we need to use, whether it’s oil of oregano, or garlic, or berberine and things like that, which are highly effective for gut infections. Dr. Kamhi: It’s such an excellent protocol. We’re going to take one more break right here. Dr. Nikolas Hedberg. That’s H-E-D-B-E-R-G. And when we come back we will continue with the discussion of protocol management for people who may have hypothyroidism and Hashimoto’s disease. We’ll be right back with more right here on The Natural Nurse and Dr. Z. And here you go. Thank you so much for joining us today on The Natural Nurse and Dr. Z, and every day, by visiting us at naturalnurse.com. 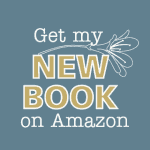 Find out about our books, lectures, schedules, T.V. shows, radio shows, and all the activities that Dr. Zampieron and myself, Ellen Kamhi, the Natural Nurse, are involved in. And also our focus for today, which is an excellent show on thyroid disease, which is unfortunately extremely prevalent and often overlooked. 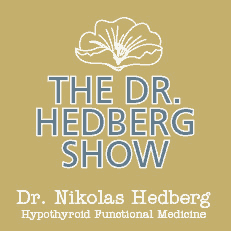 And our guest, Dr. Nikolas Hedberg, has been informing us about how he would tackle the problem with you and prioritize a therapy. We talked about various herbs. Thank you for that. And let’s talk about diet because you did emphasize that that’s important. And of course that’s something the person, with your guidance, has to take specific steps to implement in their life. Dr. hedberg: Nutrition is really the key and it’s usually often overlooked. Some individuals, they just want to pop a pill, and so we have to educate them that their nutrition is going to be a significant part of getting well. And we were talking about the immune system before, and a lot of people forget that protein is really the building block of the entire immune system. And a lot of patients are protein-deficient, especially as they age. And so we talk a lot about that. And then it’s not really a recognized or accepted test, but we do like to do food sensitivity testing. And basically that’s a blood test thing that gives us a look at 96 different foods to see if any of these foods are triggering the immune system. So we’ll look at things like all the grains like gluten. And then we’ll look at dairy, and eggs, and fruits and vegetables. Any potential foods that either the patient is eating a lot of or too much of and it’s beginning to create inflammation. Or it’s something that they don’t eat a lot of but they do it fairly consistently and that’s also triggering the immune system. And that can make it difficult to heal a leaky gut if they’re eating foods that they’re sensitive to. But I also do have a nutritionist on staff who spends a lot of time with each patient, going over their diet. And so we do get into that aspect quite a bit. Other things we’ll do with nutrition is we’ll have the patient make a bone broth which is highly effective for healing a leaky gut and supporting the immune system. And then we’ll educate them on different things that they can do, some recipes at home that can be highly effective. One of the things we really like is the ginger juice tea which is a great antiinflammatory, a great digestive aid, and it’s actually also really good for chronic infections as well. So a lot of time is spent on nutrition, definitely. Because like I said, that’s going to be the foundation. And one of the things that is really kind of a problem is the low-carb fad we’re kind of going through right now. And the problem with low-carbohydrate diets and thyroid is that it’s been shown that eating a low-carbohydrate diet over a long period of time actually slows down the thyroid. So the research shows that a low-carb diet will lower T3 levels which is the most active form of thyroid hormone. And if the carbohydrate intake is too low, it will increase Reverse T3. Reverse T3 is a completely inactive form of thyroid hormone that can create hypothyroidism. So one of the things we’ll do is we have to educate patients who are following a very low-carbohydrate diet to begin to eat what we call low-glycemic carbohydrates. We’ll try and get them adding some more low-glycemic carbohydrates back into the diet. And those are basically carbohydrates that don’t have a significant effect on your blood sugar. So we don’t want a significant spike in the patient’s blood sugar because that will inhibit immune function and cause a lot of other problems. So sometimes it’s a matter of the patient was following a diet that was actually detrimental to their health. And a lot of people feel better initially on a low-carbohydrate diet. Their calorie intake is going to be immediately less. Their blood sugar’s going to be more stable. But it may not be the best option for everyone regarding their metabolism and their thyroid. Dr. Kamhi: That’s very interesting information that I bet is new to many people. It’s new to me, and I keep up with this. So I have not heard that before. But can you define for us the difference, let’s say, between a low-carbohydrate diet and a gluten-free diet, which sometimes are similar? Dr. Hedberg: Low-carbohydrate diets, we’re usually looking at about less than 50 to 80 grams of carbohydrates a day. The research shows you need about 80 to 100 grams of carbohydrates a day just to maintain healthy thyroid function in the long run. And there are some sort of extreme types of diets out there today like these ketogenic cycling diets where you go extremely low-carb for a short period of time and then you’ll eat a very large amount of carbohydrates for one day. And the theory is that that will sort of kick-start or restart the thyroid, which kind of negates the negative effects of the low-carbohydrate diet. Both those are just really too extreme for the average person and they’re very hard to stick with. So that’s sort of the range of carbohydrates that keep the thyroid healthy. And then a gluten-free diet, gluten is mainly found in wheat, barley, rye, and oats. And then it’s also going to be found in many, many packaged foods as fillers and additives. And so what happens is let’s say we put the patient on a gluten-free diet. They go out and they find all these gluten-free products. Unfortunately, most of the gluten-free products, the gluten-free breads, gluten-free pizza, crackers, they’re really not that healthy. Dr. Kamhi: I know. They have so much other junk added in them. I’m so happy you brought that up. But you know, believe it or not, we have run out of time. Dr. Hedberg, you’ve been a fantastic guest with really in-depth information, and any client that you have is really lucky to have you and make use of your years of study, as well as your initial draw to helping people as your life’s work, which you certainly are accomplishing. So thank you so much for being our guest today on The Natural Nurse and Dr. Z.
Dr. Hedberg: Thank you so much for having me, Dr. Kamhi. I really appreciate it. Dr. Kamhi: And thank you, listeners. Join us next week for another edition, or anytime on the archives, right here on prn.fm. Until next time, this is Ellen Kamhi, the Natural Nurse. From myself and my co-host, Dr. Eugene Zampieron, we’re wishing that you stay healthy!